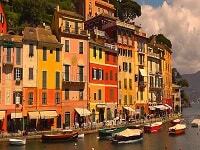 Explore Rome and northern Italy’s beautiful Vistas on this 9-day Rome, Assisi, Padua, Milan tour. 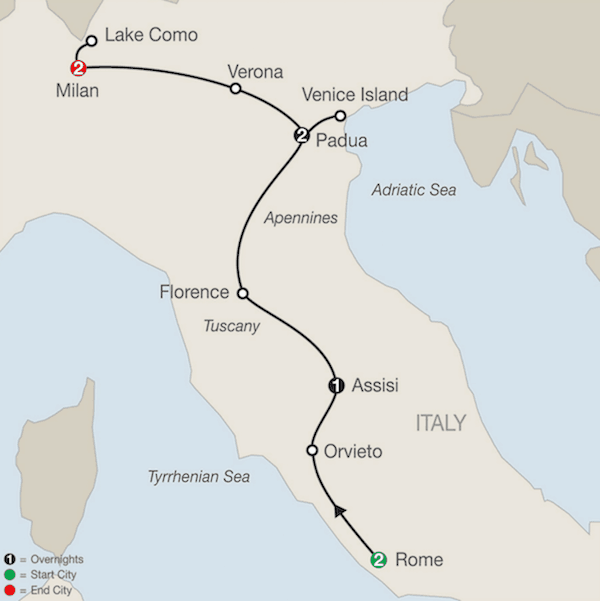 The tour itinerary includes 2-nights in Rome and then travels north through Tuscany, Veneto, and finally Lombardy. The tour includes overnights in Italy’s cities, Rome and Milan. There are also included tours of Florence and Venice. You’ll also enjoy overnights in the charming towns Assisi and Padua. 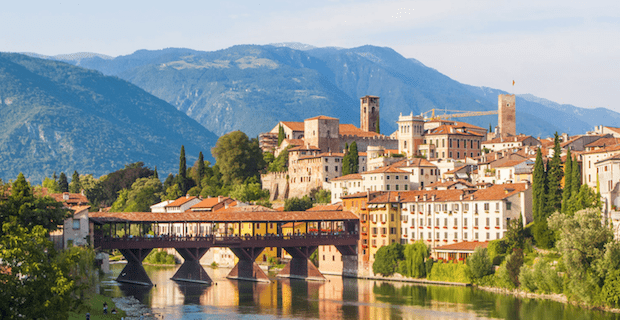 The tour includes visits to UNESCO world heritage sites including in Assisi, the Basilica of San Francesco, Vatican City, and the City of Verona. For more information review the daily itinerary below. For the price of the Rome, Assisi, Padua, Milan Italy tour with airfare from your preferred city submit the form or call ItalianTourism.us 800.227.1577. Meals: Breakfast daily and 2 dinners. Join your Local Guide for a tailor-made itinerary featuring some of the city’s authentic jewels. Enjoy a walking tour of Padua followed by a real Italian Aperitivo. Appreciate the peaceful vistas of the Lagoon while you glide past the islands of Santa Elena, San Michele and the famous Lido. Check the box next to the departure date of the Rome, Assisi, Padua, Milan tour that you would like to join. Add 3-night Lake Maggiore extension to end of vacation. Price published is land-only. 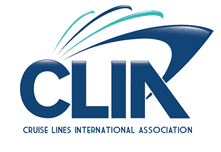 Submit form for air itinerary and tour with airfare from your preferred airport. Welcome to Rome! At 5 pm, meet your Tour Director and traveling companions, and leave the hotel for a special welcome dinner with wine at one of Rome’s lively restaurants. Today you’ll enjoy a tour of the UNESCO world heritage site Vatican City. There you’ll have an escorted tour of the Vatican Museum including the Sistine Chapel. There you’ll see Michelangelo’s famous Last Judgement fresco. Then you’ll tour St. Peter’s Basilica. Inside you’ll see Michelangelo’s Pietà. After time in St. Peter’s Square you’ll then cross the Tiber River to the Ancient Roman Forum. There you’ll tour the Colosseum, where bread and circus fed the Roman citizens. See where gladiators once fought and naval battles were re-enacted for the Roman Emperors and citizens. This afternoon there is an optional walking tour of Rome’s historic center to see the famous piazzas and fountains including the Spanish Steps, Piazza Navona, Trevi Fountain, the Pantheon, and more. Stop in Orvieto, perched high atop a volcanic rock. Access, denied to many a would-be conqueror through the ages, is easy for you. Time to browse through tempting shops in the lanes off Piazza del Duomo, and to admire the fabulous gothic cathedral. Taste local pastries at Caffè Montanucci, a historic pasticceria (bakery) for more than 100 years, before continuing to Assisi for your overnight stay. Your guided walking tour includes visits to ST. CLARE’S CHURCH and ST. FRANCIS’ BASILICA, the hub of a religious order devoted to the ideals of humility, forgiveness, simplicity, and love for all God’s creatures. This evening consider joining the group for an optional dinner in the beautiful and charming Umbrian hill town Spello. In Florence, “Cradle of the Renaissance,” follow your Local Guide on a walking tour. Visit the ACADEMY OF FINE ARTS to admire Michelangelo’s celebrated David. Marvel at the magnificent marble cathedral, Giotto’s Bell Tower, the Baptistry’s heavy bronze “Gate of Paradise,” and sculpture-studded SIGNORIA SQUARE. Continue through the Apennine Mountains and the flat Po area to Padua for an orientation of St. Anthony’s city and your overnight stay. A short drive brings you to Venice. Enter in style by PRIVATE BOAT and meet your Local Guide. Highlights of your walking tour are ST. MARK’S SQUARE and the byzantine BASILICA, lavish DOGES’ PALACE and the BRIDGE OF SIGHS. Also watch a skilled GLASSBLOWER fashion delicate objects in an age-old traditional manner. 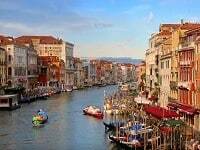 Afterwards, enjoy Venice at your own pace or join an optional cruise to the charming island of Burano. Arrive in Verona, medieval setting of Shakespeare’s Romeo and Juliet. Take pictures of Juliet’s balcony and rub the shining breast on her statue for good luck. Continue to the Arena, an incredibly well-preserved pink marble Roman amphitheater, where gladiators once fought. Built in the 1st century AD, it is now the magical venue for world-famous opera performances. Then, on to the dynamic city of Milan. Follow your Tour Director for a pleasant walk to see La Scala Opera House, the glass-domed GALLERIA, and the magnificent gothic Duomo. Lake Como is regarded as one of Europe’s most beautiful lakes and has attracted many aristocrats and famous people to come and live there in one of the many villas that line the lakeshore. Enjoy a PRIVATE BOAT RIDE and visit picturesque Bellagio, the “Pearl of Lake Como” and already popular as a destination in Roman times. This evening, back in Milan, a special farewell risotto dinner with wine awaits you at Calafuria Unione restaurant. Click here Rome, Assisi, Padua, Milan tour highlights and itinerary map. Transfer to beautiful Stresa on Lake Maggiore. Your Local Host can help you make the most of your stay. 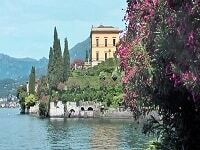 Morning guided sightseeing includes a boat ride to ISOLA BELLA for a visit to its opulent PALACE and GARDENS.